Java Comments represent the ail and description of a program.While writing any code in any technology developer will mention comments to understand the coding lines, compiler will not execute those comments and memory will not be allocated to an application. The main advantage of Java Comments are readability. Comments can be defined as three ways in Java as follows. Single line comment starts with // . Multiline comments starts with /* ends with */ . Java documentation comments starts with /** ends with */ . 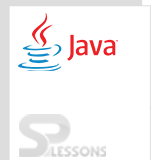 Following is an example which describes what is the purpose of Java Comments. /**A leap year in the Gregorian calendar has an extra day for February. *A leap year has 366 days. Entered number is leap year. The following is an example for the single line comment. Output: It produces the following result. The following is an example for the multiline comment. Java Comments – The comments will not be compiled by JVM. Java Comments – The purpose of comment is to describe the code.